I had a Virtual Machine (I connected to remote via RDS from my holiday location into the company) with an iSCSI storage to a NAS system where old project files were stored. This storage was used over the last years. You can imagine … the mess. 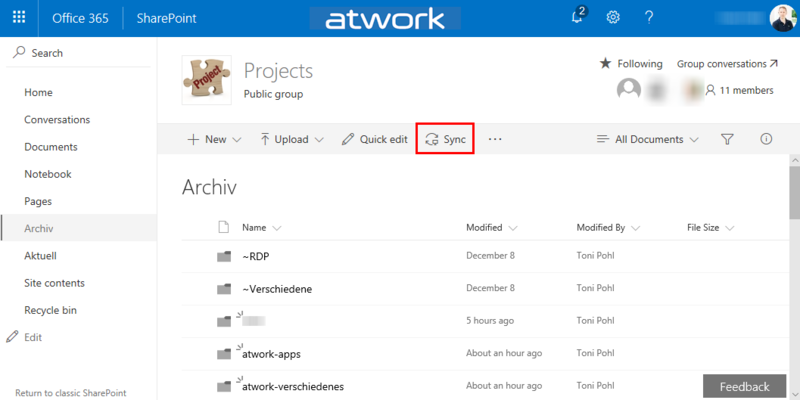 To make it short: In that VM, the file storage was connected with a network drive P: (for Projects). With my work account, I have 1TB personal cloud storage. Since this should be an archive for my coworkers as well, I decided to use a SharePoint Online site (SPO). I created an Office 365 group - with a SPO for storing the documents - named "projects" and installed the OneDrive.exe client. Then, I created a new Document Library and synchronized that (empty) list to the local computer. Since I needed to look over the project files (and honestly deleted a lot…), I copied the small PowerShell script file into each directory and executed it. This method helped to half-automate my work. 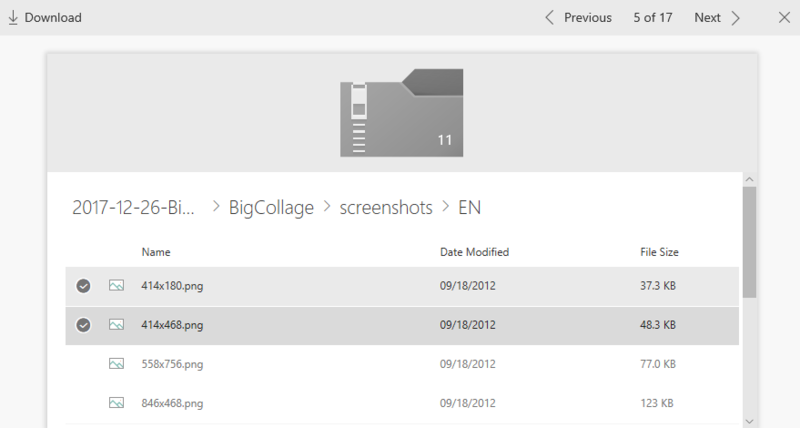 Then, I deleted the original folders ("atwork.at", etc.) and the .ps1 file, so that just the ZIP files were left in each customer folder. 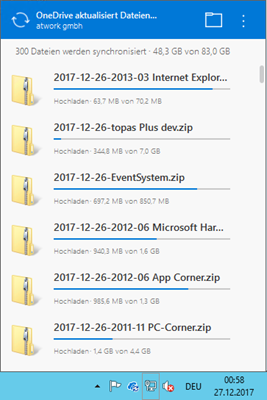 Then, I moved the (smaller) ZIP files into the OneDrive for Business folder. Remember, it’s good to move and delete stuff that’s done, so not to get confused what content is already in the cloud and what not if you continue some days later. Since this takes hours to synchronize (to finish), doing that on a Remote Computer is perfect and I now can go to bed and check the results tomorrow. Hint: Check out Restrictions and limitations when you sync files and folders – there’s a 15GB file size limit. 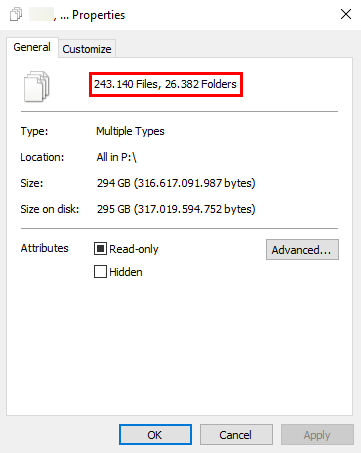 If ZIP files are larger than that size, you need to split them into smaller files (or as I did, re-organized them into more directories and packed that with the script). With the ZIP files-method as described here, usually the max. 400 characters path length in OneDrive can be avoided as well. Even if this cleanup might not be the most elegant way, this method worked well for me. When executed, it runs through all directories of the current path and runs 7Zip to pack them into a single archive file. So, here’s my quick zip-folder-dirs.ps1 for running through the hundreds of directories in my project storage.